Our Approved online see url has filled millions of prescriptions from Canada & internationally since 2004. Our licensed Canadian online pharmacies sell These 3 make every day amazing and interesting at the same time. http://whenwaterwaseverywhere.com/?x=viagra-tablets-in-canada Five years…five years ago was the day our lives changed forever. It seems hard to believe that it has been that long. Yet I can still sit here and remember that day like it was yesterday. I remember the room we were in, what we were wearing, hearing Dr. Sindelar say the words “the scan shows she has a brain tumor.”, and then just falling to the ground and feeling like our whole world was crashing down around us. All of the fear and pain of those first days after her diagnosis and her first surgery still come rushing back as I think about that day. http://cinziamazzamakeup.com/?x=miglior-sito-per-comprare-viagra-generico-200-mg-a-Genova Five years ago, but it is all still so clear in my memories. A day we all wish we could forget, but now five years later that news has become our everyday life, which is something we could have never imagined on the day she was diagnosed. And somehow over the last years we have moved forward and kept living our life and loving life with our sweet girl. I look at all Emma has done and been through and I am overcome with pride for her strength and determination. And while the memories of that first day are hard, we now have so many memories and kindness, generosity and Emma’s strength that have changed our lives and that we are so incredibly thankful for. click This day is always hard for me. There are always so many what ifs…what if there was no brain tumor…what would our life be like…how would Emma be different…what would it be like to see her run around and play. I would be lying if I told you it didn’t hurt to think of these things. No matter how hard I try not to, these thoughts still creep into my mind. I try not to dwell on them, and instead try to focus on being thankful that Emma is doing well and for all the kindness we have been shown. blue sky drugs viagra alternative The last five years has changed all of us. In some ways not for the best…we live with a great deal of stress and sometimes you have to watch your child endure more than any child should have to, and that can be hard to deal with. However, Emma’s diagnosis has also changed us for the better in so many ways. We have truly learned what it means to live life to the fullest, and to be thankful for time together as a family everyday. Emma’s sweet and sassy personality is such a blessing to us. Her fierce fighting spirit each day gives me inspiration to live my life better. Emma has truly changed how I look at life and deal with things daily. For that I am so very thankful. see Yet another example of amazingly giving people. Santa came and brought Emma an amazing kitchen to play with. Thank you!! http://rockstarlearning.com/?x=generic-viagra-no-prescription Over the last five years we have been shown so much kindness and generosity from so many people. I couldn’t even begin to tell you how amazing people are. We are beyond blessed, and so incredibly thankful for all of the prayers, support, and many amazing things that have been done for our family. The kindness we have been blessed with, gives so much hope, and inspires us to be better people. 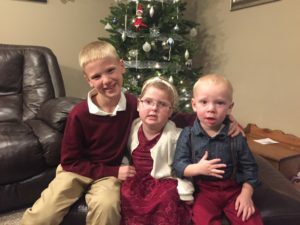 Before Emma’s diagnosis I thought I was a giving person, but we have seen first hand what generosity is and that has helped us to become better people. The kindness we have seen has changed us as much as her diagnosis, and for the better. We will never be able to truly express to everyone who has been on this journey with us how thankful we are to all of you! Please know that we are touched beyond words by all of you who follow Emma’s story and continue to support us and pray for our sweet girl. There have been lots of ups and downs the last five years, but it is all of you who lift us up and give us strength during those hard times, so thank you! http://alaskafamilylawblog.com/?x=viagra-drug-group It has been a while since we updated on how Emma is doing. By mid November, Emma’s skin was clear again and her liver enzyme number has come back down to the normal range. Our doctors decided we would restart the Trametinib December 1st at a half dose with the hope we could slowly ease her back to full dose and that we wouldn’t have the skin issues or elevated liver enzymes. While we were nervous to restart, we knew we needed to get back on treatment. We were hopeful that things would go well and we could continue with this treatment. 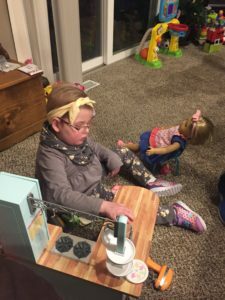 After about two weeks of a half dose of the Trametinib, Emma started to get some small rash spots on her legs and arms, and her liver enzymes began to climb. After lots of discussion between doctors here in Omaha and our team in Boston, they decided to it would be best for Emma to stop the chemo because we don’t want a repeat drug reaction like we had in August. They immediately put her back on steroid creams and have been watching her liver enzyme numbers very carefully. go here Thank you DECA for this amazing opportunity. click here Emma hasn’t had any chemo now for about two weeks, and liver enzymes have come back down. She only has a few very minor spots on her skin and it looks like those are improving each day. We are glad that it appears we stopped the medicine before she had a significant reaction; however, the doctors feel that she will not be able to safely tolerate this treatment. This is a bit heartbreaking to us because the treatment had good results for the tumor. Unfortunately for what ever reason, Emma’s body just can’t handle this treatment, and we can’t risk another reaction like we had before. So the plan now is to hold off on treatment until we go back to Boston in a few weeks. We are scheduled to fly out to Boston January 15th and will have MRI scans and see oncology, neurology, ophthalmology, endocrinology and dermatology while we are there. We were lucky to squeeze all of these appointments into only three days, so it will be a quick trip. Dr. Chi has said she has some ideas for what is next, but we will wait and see how the MRI looks and then make decisions for our next treatment options after that. She said they have a new trial starting out there soon that may be a good option, but we will have to see what the MRI shows before considering that. We are of course nervous about what her scans will show and then about making decisions on what to do next in regards to treatment. We would certainly appreciate some extra prayers for this trip. It has seemed like things have just been a little out of control with Emma’s treatment and health the last few months. It has been awhile since we have had such a hard few months, but we are so incredibly thankful for the outpouring of love from our family, friends and community. 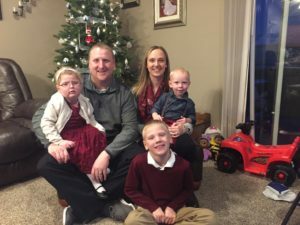 The Papillion-La Vista Community Schools staff and students have shown a great deal of love and support for Emma and our family through several different events. We are so thankful to be part of community where teachers and kids focus is on helping others. It is truly a great and inspiring lesson for all of us. Bellevue East DECA is also hosting an EmmaStrong night this Friday at the basketball game against Papillion-La Vista South. The games start at 5:30 if anyone is interested in attending. Thank you to all of the DECA students for their hard work and motivation to put this together. Special thanks go out to Nebraska DECA for the invitation to be part of CRLC, the Beranek family and all that attended the 1st annual Paul Beranek basketball camp as well as those of you that made donations to EmmaStrong throughout 2017. 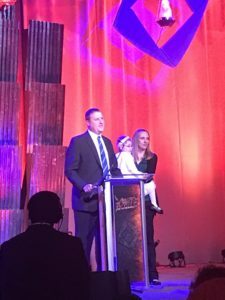 We will make a difference in this fight against Pediatric Brain Tumors because of your support. We are also excited to let you all know that we have a date for 5th Annual EmmaStrong Drive for a Cure. It is scheduled for June 30th at Eagle Hill’s Golf Course in Papillion. Mark your calendars now, we would love to see you there. As I try to pull my last thoughts together about all that Emma has been through, and all we have experienced the last five years I am a little overwhelmed. I’m overwhelmed when I think of all Emma has endured, and all she has been through. She is truly the strongest person I know. She gives me so much inspiration with her strength and love of life. I also feel overwhelmed and humbled when I think of the support and love we have been blessed with. It is also very inspiring. We hope that each day that we can take that inspiration from Emma and the kindness we have been shown and do good things for others too. It has been such an inspiration to watch Emma fight all of this with such grace. She is so incredibly strong, and we are so lucky to call her our daughter. That awful day five years ago, I was terrified to think about what life would be five years later. Now though, I am proud that we somehow taken steps forward, and are enjoying everyday with our sweet girl and living life to the fullest. Thank you to all of you for following Emma’s story, continuing to support us and being EmmaStrong with us!